People should be ashamed of themselves before shaming others. Has it ever occurred to you that you might have to go through the same phase in life as others? Or maybe you already have gone through it. You don’t realize what the other person is going through or how much they are enjoying their life. They don’t need your petty comments or lectures as you pass by them whenever, wherever you want. On the contrary, a woman did just that. 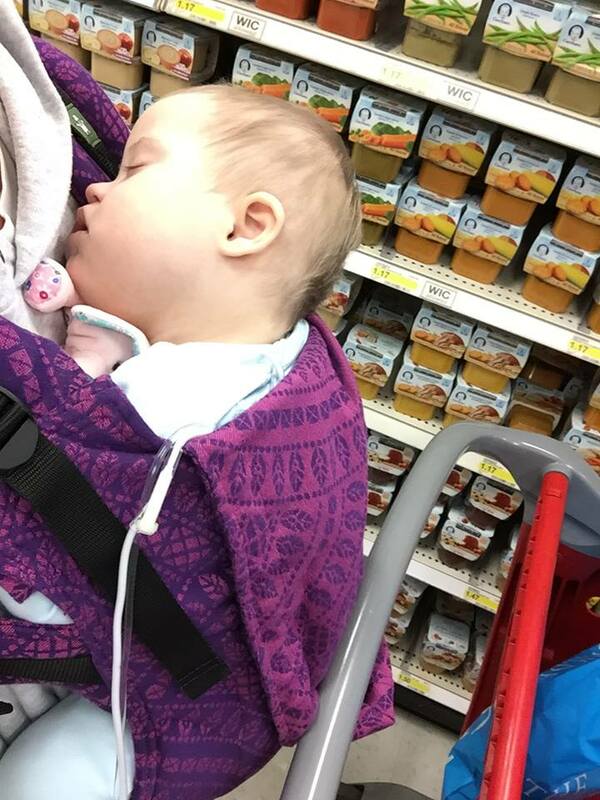 While Kelly Dirkes, an adoptive mom, was shopping at Target store with her adopted daughter, a lady approached her saying how “she would spoil that baby for carrying her around” and also that “the baby would never learn to be independent.” I mean, what is it to anybody if mothers carry their child in their arms or anything? Why can’t people just keep to themselves? Just look at the adorable little angel sleeping. Not only has Kelly adopted this one baby, but she has adopted quite a few kids with Downs Syndrome. And she decided to take this matter to Facebook to spread awareness. She wrote an open letter to that certain lady who tried to shame her in public. Check out what she posted on her Facebook page. You’d be overwhelmed. Here’s what she wrote in her post. If only some people knew how the world works. Spoiling their baby is any parent’s favorite hobby. If you only knew what I know.”Spoiling that baby” is the most important job I will ever have, and it is a privilege. I will carry her for a little while longer–or as long as she’ll let me–because she is learning that she is safe. That she belongs. That she is loved. This isn’t the first time a stranger has tried lecturing a parent in public and it’s condemnable. Share your views with us if you have ever undergone such circumstances.